This guide* is posted in several parts. For reference purposes, this post can be used as an index with links to each part. Part 1: How to add Xbox Live Screenshots to your forum posts. Part 2: How to link your Xbox Live Gameclips to your forum posts. Part 3: How to upload your Gameclips to YouTube and add them to your forum posts. Squad up and get stuck in! Good communication and teamwork, are more important than individual player skill. Although this is ok, there is a tidier way of sharing your clip. Please read" Part 2: Posting Game Clips" for more information.  Firstly you will need to register with xboxdvr.com (this is a FREE service that lets you share your xbox Live content on the internet) You will need to use your Xbox Gamertag when you register, but please use a different password - clicking the banner below will take you to the XboxDVR site. Please follow the instructions in the xboxdvr FAQ/HELP to do this. Once you are logged into xboxdvr.com you will see your Avatar and Xbox Gamertag in the top right hand corner of the page, expand the dropdown menu here and click the "Dashboard" link. Parts 1 & 2 of this guide will assume that you are starting from the dashboard page. *This applies to clips shared directly from Xbox Live that have not been upload to third party sites like YouTube. Navigate to your XboxDvr screenshots. This will open a page with preview pictures of all your saved screenshots. Click on the preview that you wish to share, it will open the screenshot in it's own page. This is OK, but the rest of part 2 will show you a much nicer way of doing it, and enable you to create better looking posts. This will copy something like this http://your-thumbnail to your clipboard. If we post this however it will just display the thumbnail image. To do this click on the thumbnail back over at xboxdvr.com and open the page with the game clip that you want to share. Now copy the url from the top of the page to your clipboard. After the [url( but before the ] ) type = and then use CTRL-V to paste the url to the game clip that we have just copied from the top of the XboxDVR page. Part 3: uploading Game Clips to YouTube. How to upload your Gameclips to YouTube. Make sure that you have the YouTube app installed on your Xbox One. Open the Xbox YouTube app. The first time you use the app you will need to sign into YouTube. Pressing x on the controller will open the menu. You will now need to use a web browser to enter the code. you will be asked to sign in to your Google account. and chose one to upload. Simply click "upload" when you're done. You will be warned not to navigate away from the screen until the clip has finished uploading. Once the upload is complete you will be given a link to your new YouTube video. Use the link given to you when you uploaded the clip. *To create a YouTube channel, you first need a YouTube account. Google owns YouTube and will accept Google account credentials to register you for Youtube. So you can sign in to Youtube with your existing Google account (if you have one and want to link it to YouTube), or create a new Google account by clicking "sign in" and then "Create Account" and filling out the required forms. By default, your Google username will become your username on YouTube and on your YouTube video channel, but you can change the channel name during setup.